If you have a misdemeanor charge or conviction on your record in New Jersey or New York, it may be possible to have your record expunged. 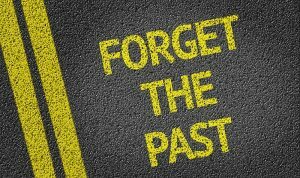 Under recent changes in the law, expungement may now be possible in as few as five years after your charges or conviction. Many people who did not qualify under previous conditions may now get the clean record they need. Call Del Sardo & Montanari, LLC, to discuss your situation in a free telephone consultation. From offices in Woodland Park, our lawyers help people clear their record through expungement in jurisdictions throughout New Jersey and New York. Call us toll free at 888-877-7985 or contact us by email to arrange an initial consultation with one of our experienced Passaic County expungement attorneys today. Successfully expunging someone’s criminal record requires an in-depth knowledge of the procedures and specific criteria required for approval. We have the experience and knowledge of the process and will give you an honest appraisal of your circumstances. If we can help you expunge your record, we will move efficiently and aggressively to help you clear your record as quickly as the court process allows in your jurisdiction. Wherever you are in New Jersey or New York, call us toll free at 888-877-7985. We respond quickly to calls and emails. If you cannot come to our offices in Woodland Park, we will make every effort to meet at a location convenient for you. We accept credit cards for your convenience and have a Spanish interpreter available.